Commitment to satisfy customer's demand for environmental comfort solutions, by using our knowledge, experience, dedication and adherence to the best quality standards. To be recognized as a market leader of sustainable air-conditioning solutions that create value and exceed customer's expectations. Trosten Industries Company L.L.C., established in the year 2004, specializes in manufacturing of centralized air conditioning and kitchen ventilation equipment, with state-of-the art manufacturing facilities located in Dubai Investments Park (DIP), UAE. Trosten also has its manufacturing plant in Oman producing the same product lines manufactured in UAE. At Trosten, it's all about providing quality HVAC equipment for industrial, residential, commercial and specialized applications. With our strength in providing the right HVAC engineering solutions, we offer factual benefits to our customers by saving energy, ecological returns and right application of products. 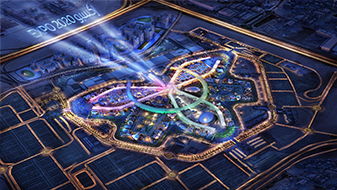 Thematic Districts (T16036), Expo 2020, Dubai. Al Wasl Plaza, Dubai Exhibition City, Dubai. 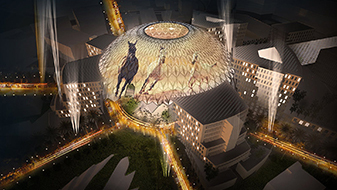 UAE Pavilion, Expo 2020, Dubai. Royal Atlantis Resort & Residences, Palm Jumeirah, Dubai. 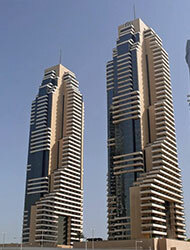 The Address Residences Jumeirah Resort & Spa, Dubai Marina, Dubai. Jumeirah Saadiyat Island Beach Resort, Abu Dhabi. Lapita Parks and Resorts, Dubai. The One Jumeirah - Jumeirah Village Circle, Dubai. (90 storey, Twin Tower), Dubai. 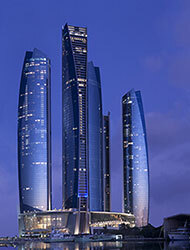 Fairmont - Bab Al Bahr, Abu Dhabi. Hilton Ras Al Khaima Resort & Spa, Ras Al Khaimah. Clemenceau Medical Center, Dubai Healthcare City Phase 2, Dubai. Danat Al Emarat Women and Children's Hospital, Abu Dhabi. Aster Hospital, Al Qusais Ind. Second, Dubai. Medcare Medical Centre, Motor City, Dubai. King Faisal Specialist Hospital & Research Centre, Riyadh. Sheikh Khalifa Medical City, Ajman. Naseem Al Rabeeh Clinic, Doha. Federal Supreme Court, Abu Dhabi. 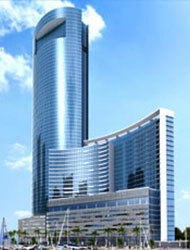 Abu Dhabi Trade Centre Extension Phase 3. Al Tayer Motors Showroom - Al Hamra (Auto Village). Residential Blocks (City Walk) DPDP-PR-5010 @ Jumeirah Plot No 2,3,4,&7. Oman Convention Centre, PKG - 03, Muscat. 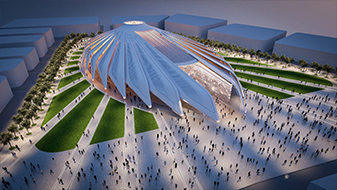 Dubai World Trade Centre Exhibition Halls, Dubai. Emirates Sky Cargo @ DWC. UDC Project office @ Pearl Qatar. National Bank of Fujairah, Jebel Ali. 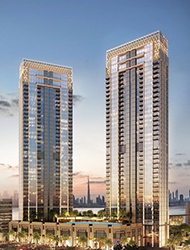 Creekside 18A, Dubai Creek Harbour. 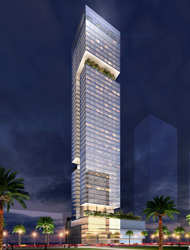 Residential Tower, 3B+G+3P+21 at Plot No. C18 - Corniche Road, Abu Dhabi. City of Lights - Abu Dhabi. 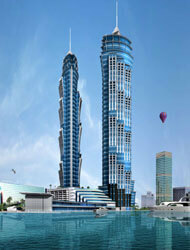 Trident Grand Residence (45 storey), Dubai. 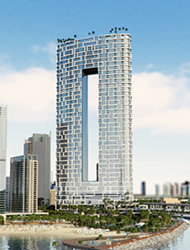 Najmat Towers RR5-C1 - Al Reem Island, Abu Dhabi. Dubai Hills Estate Mall - Mohammed Bin Rashid City, Dubai. Al Maryah Central Mall, Al Maryah Island, Abu Dhabi. My City Centre, Sur, Oman. British Canadian Columbia School, Dubai Investment Park. Swiss International Scientific School, Dubai Health Care City 2, Dubai. Repton Senior School, Abu Dhabi. Gems Lincoln Academy @ Al Barsha, Dubai. Westminster School, Ras Al Khaimah. Our Own and Westminster School, Wakrah, Doha. Gems Founders School - Al Mizhar First, Dubai. Al Khaleej National School, Dubai. 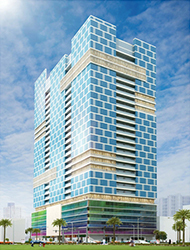 IMPZ Midtown by Deyaar, Dubai. Neighborhood One Residences - Masdar City, Abu Dhabi. 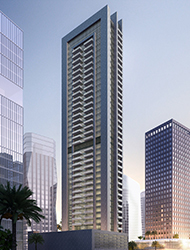 Centurion Residences, Dubai Investment Park 2, Dubai. (Hidd Al Saadiyat), Abu Dhabi. 256 Villa Complex, G+1 - Musaffah, Abu Dhabi. Emirates Staff Accommodation, B+G+8 at Plot No. 645-8118, AlMazan, Block 5, Dubailand, Dubai. Masdar Institute Neighbourhood, Abu Dhabi. 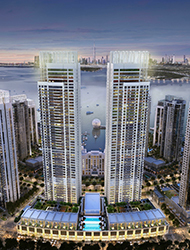 Nakheel Badrah Development - Dubai Waterfront, Dubai.